While Google has already made it pretty clear that it's going to announce new smartphones next week, on October 4, it didn't provide any details on the upcoming devices. Nevertheless, we've already heard that there should be two handsets unveiled next week, one called Google Pixel, and another one called Google Pixel XL. Evan Blass (better known as @evleaks) and Venture Beat can now "confirm" that the Pixel and Pixel XL will indeed be introduced on October 4. What's more, Evan Blass revealed a photo that shows the Google Pixel - which will be the smaller among the two new phones, sporting a 5-inch 1080p display (instead of the 5.5-inch Quad HD screen of the Pixel XL). As you can see on the left, the Pixel has a UI that differs slightly from what we can currently see on Android 7.0 Nougat, including a G(oogle) widget, and redesigned navigation keys (they're full instead of hollow). That's because the handset will likely be shipped with Android 7.1 Nougat, which hasn't been announced. Mind you, the front is the rather dull side of the Google Pixel. Its back is quite interesting, though, allegedly including a glass-made portion at the top, where the rear camera and fingerprint sensor should reside. Both the Pixel and Pixel XL are reportedly manufactured by HTC, looking identical (save for the size), and sharing most of their features: Snapdragon 820 or 821 CPU, 4 GB of RAM, 12 MP and 8 MP cameras (rear and front), and at least 32 GB of internal memory. The handsets are expected to be dust- and splash-resistant (IP53 certified). It's said that prices for the Google Pixel could start at $649, while the Pixel XL will probably be even more expensive. Do you think you'll be interested in buying any of these upcoming Google phones? Well then, may want to consider a Moto G or something. For those of us who can afford it, I assume it will be quite good because Google seems to be pulling all the stops. Can't wait until next week to finally see something interesting in the second half of this year because all the rest have been rehashes or mediocre. 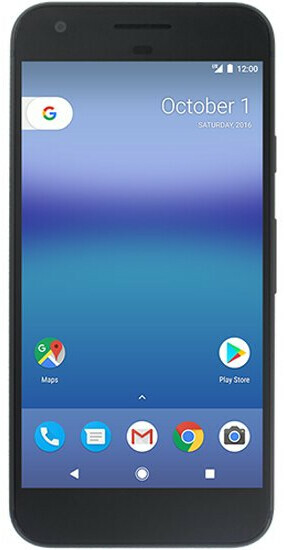 Whats quite good about an ugly phone with huge bezels in a world of android where there are gorgeous phones with tiny bezels and top of the top hardware? I don't know if bezels get you off, but you must be one sad panda because no one has acceptable bezels. The only one that can count for small bezels is Sharp and their phones are just not frequent enough. Also, anything with smaller bezels than these are massive anyway and I couldn't care less unless the bezels just aren't there. What part about these devices is pulling out all the stops? Neither of them can touch the S7/Edge and both Pixels are probably going to higher priced than S7 pair by the time they are released. But... Isn't stock Android the Nexus' (Pixel) key selling point? Those who want stock Android aren't going to consider the S7/Edge even if it costs the same price as the Pixel/XL. Yup, literally another feeling all together to use the Nexus devices for some reason. I have tried the Nexus 5, S6/7, Padfone Infinity, Z5 compact and after all that, I still don't know why but that Nexus 5 just felt 10x better than all of the others to use. Nexus 5, ten times better to use than the S6/7? I barely understand what you're implying there, bruh. No lag or very little of it. My Nexus 5X had clearly worse lag than my Z5 Premium when it was running on Marshmallow, no matter what Phonearena may say. Same can be said for the Galaxy S6/S7 I have Google's Pixel C and a Galaxy S6, in terms of UI smoothness there isn't any real difference other than the animations. He's saying that the OS/UI just felt better, that his smart phone experience was better with the Nexus 5 than the S6/7. In other words, stock android is better, faster and smoother(almost zero lag) than TW in his opinion and mine to. Finalflash said "Nexus 5 just felt 10x better to use..." Stock Android is obviously one of the factors which makes the Nexus 5 "10x better to use". But I thought he's got some other pros going for it, too, because I do not think vanilla Android alone can weigh all of the pros which makes his Nexus 5 ten times better to use than the S7! Well I think Stock Android alone is 10x better than TW and that can be interpreted as any Nexus is 10x better than a Galaxy S. Perhaps Finalflash has other reason to say the Nexus 5 is 10x better but the only reason I need is Stock Android! This is why having a mixture of devices is generally a good thing, you don't get caught up in the BS, people actually start believing it. I see no noticeable difference in smoothness between the Galaxy S6 and my stock PIxel C, if anything the Galaxy S6 feels smoother at times. The Pixel C is a tablet, the S6 isn't what you compare it to lol. Go get a Galaxy Tab and then come back and tell me how well it did against the Pixel C, or get a nexus 6P and compare it to your S6. There is always the possibility that you just don't have an eye for noticing micro lag and literally can't tell the difference, believe me there are people who really can't. It's like the peole who can't tell the difference from 1080p and 1440p some can and some can't. Exciting. I can't wait to see these new devices! Apart from the icons (hoping this can be with icon packs), I'm in. There is somthing i have noticed during using pixel launcher on my note 4 that ok google is not working by voice like before. Odd. I just tested it on My Nexus 6P with Nougat & Pixel launcher and it works just fine and dandy. Huh? By "Pixel launcher", are you refering to the stock Android Nougat UI? Or the Pixel Launcher available at the Play Store? The one at the Play Store doesn't "OK Google" like before, on a number of devices. You can check for the feedbacks from users at Play Store. The actual Pixel Launcher, which will roll out on 7.1, is available to sideloaded to try out. It's not the Android Nougat UI as we currently have it. Some of the differences between it and the current launcher (GEL aka Google Experience Launche or Google Now Launcher) is that like the article said, it has a Google widget in the upper left corner which when pressed opens the search bar like what's on the current launcher. The navigation icons are solid instead of hollow. But a difference not mentioned in the article is that the app drawer button is gone, swiping up from the bottom will now open the app drawer. I'm sure there are more but thats all I can think of currently. I just did a search, and I'm not seeing the Pixel Launcher you're referring to. The Google Now Launcher is there, and there something called Pixel Launcher, but it's a game, not a launcher. You're right, the launcher I was referring to was side loaded, and not the same as the one found on stock Nexus devices. If you perform a search for it on PhoneArena you'll come across an article with a link to where you can download it. It's nice I suppose. I remember it. I thought about installing it, but I like the GNL and until I see how the Pixel Launcher works, I'll wait.